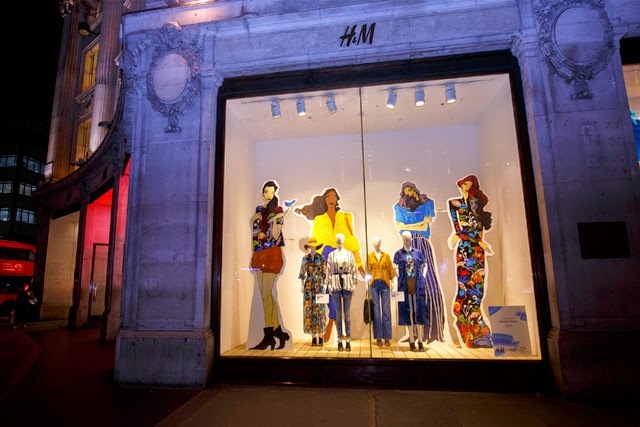 Last week I was lucky enough to attend the opening of LCF'S Illustration pop-up at H&M's Oxford Circus store in London. 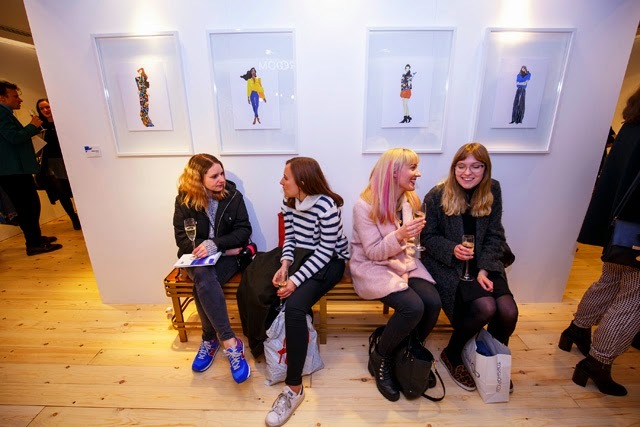 Until the 29th the store's 4th floor lounge has been transformed into a pop-up gallery showcasing the work of some of London College of Fashion's most promising BA Fashion Illustration graduates. 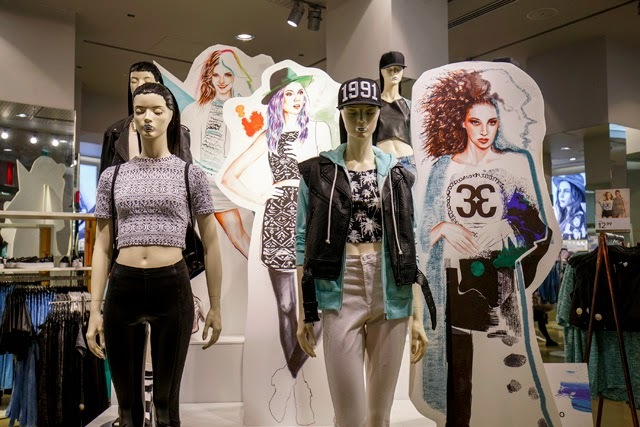 Put together by five selected students, the exhibition interprets the latest fashion trends inspired by H&M's current collection. My personal favourites were by illustrator Joseph Larkowski, whose minimal and stylised sketches capture this season's looks in a fun and feminine way whilst focusing around the denim trend. You can see his work here, and if you're in London between now and Sunday make sure you visit the 4th floor to check out the gallery! It’s such a great post! Thank you for sharing this! By the way, I’m in love with your blog!